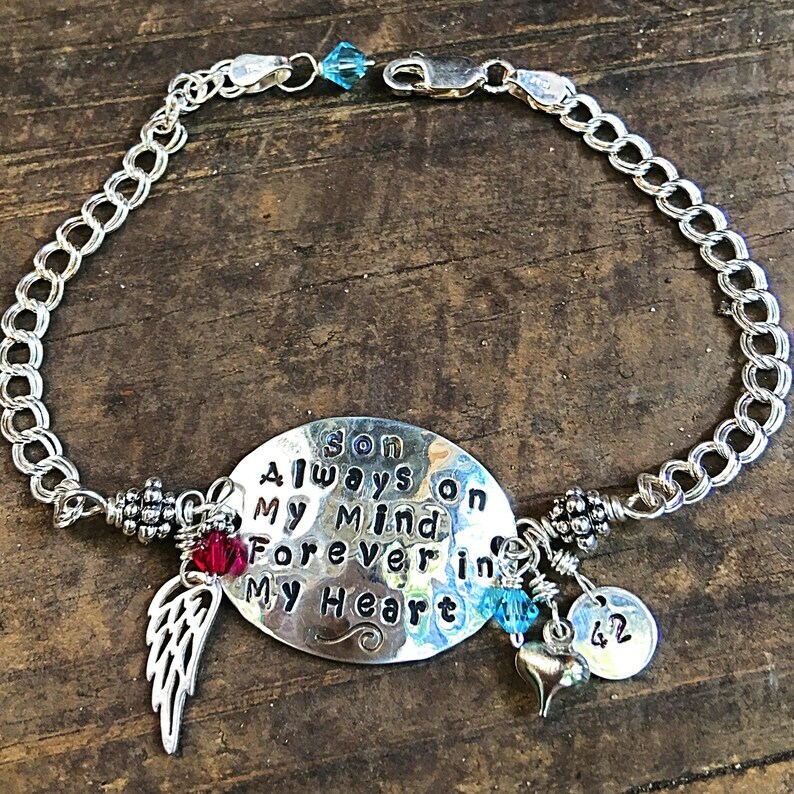 This memorial bracelet is made of sterling silver. It features an oval shaped center disc hand stamped with the words, "Son, Always in My Heart and Forever on My Mind". The phrasing can be customized for no additional cost. If you would like to change the wording, please leave me a message at checkout. 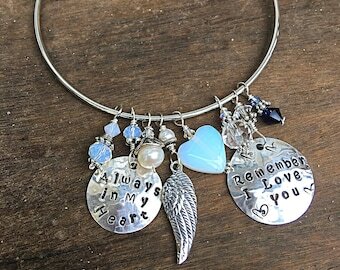 This bracelet is also made using Swarovski crystal birthstones and a sterling heart and angel wing charm. You may choose up to TWO Birthstones with your order. This gives you the option of adding the wearer's birthstone as well. (Additional charms are available by request and for an additional fee). Made in memory of a lost loved one... I believe that wearing a symbol of a loved one can help ease our grief. 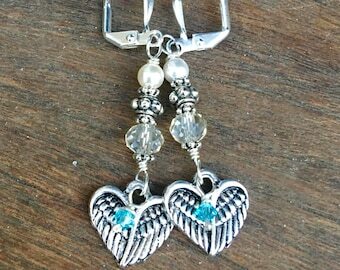 My memorial pieces are a beautiful way to acknowledge loss and a great way to carry our loved ones with us. Mermaid Tears Jewelry is hand-created and inspired by the sea. I use the finest supplies including Thailand Hill Tribe Silver, Swarovski crystal, Czech glass beads, freshwater pearls, sterling silver wire and chain, authentic sea glass from all over the world and an array of semi-precious stones. 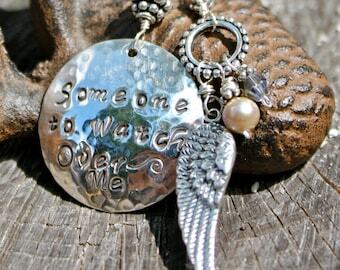 Mermaid Tears Jewelry specializes in custom jewelry. Please let me know if you have a special request. I am happy to accommodate! Each piece of my jewelry is made to order. This way you can choose the length or color you like best. Like shells on the beach, no two pieces of jewelry are exactly alike.. PLEASE NOTE~ Some charms and beads may vary SLIGHTLY depending on availability, this adds to the individuality of your piece. I specialize is custom designs! If you don't see what you're looking for, please message me. I would be happy to create the something special for you!